Khoobsurat is offering high quality body wraps to improve the glow and shinning of your skin. This rosewood wrap comprise of high quality ingredients along with rosewood to provide nourishment to your skin. 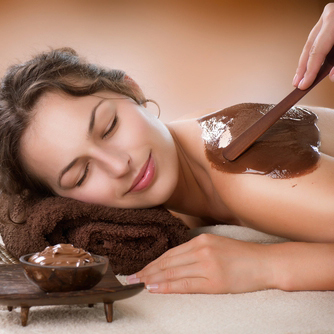 Khoobsurat Detoxifying Mineral Mud scrub or body wrap is very useful in getting clearer and glorious skin. It detoxifies and exfoliates the skin and gives it the clear and bright look. It expands the pores of the skin and removes the toxic material from the skin making it younger, cleaner and clearer. With Khoobsurat chocolate wrap you will have the heavenly effect that will rejuvenate your body, mind and spirit. Chocolate contains various components which help in producing slimming and calming effect of your body. This gives you a feeling of joy and happiness.